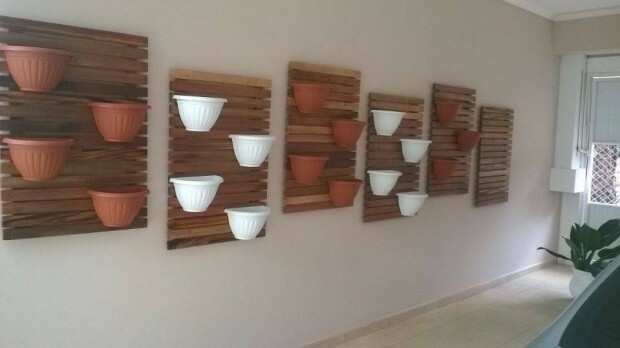 A wall planter is a real beauty hanging on the wall of your house indoor whether in the patio or even in the garage. 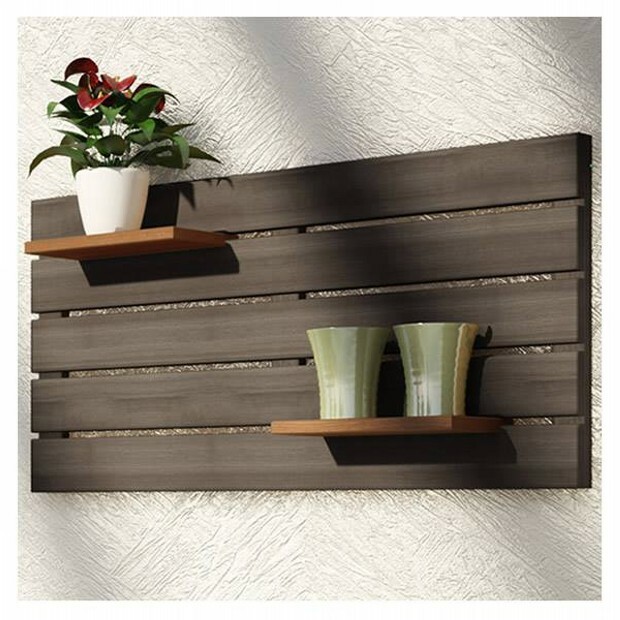 Though the wall planters are made with many materials but pallet is one of the most appropriate material in making a wall planter. 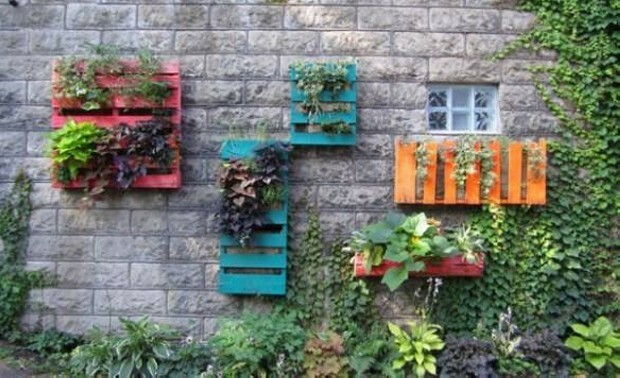 A planter made by repurposing the wooden pallet is just according to your choice and priorities. 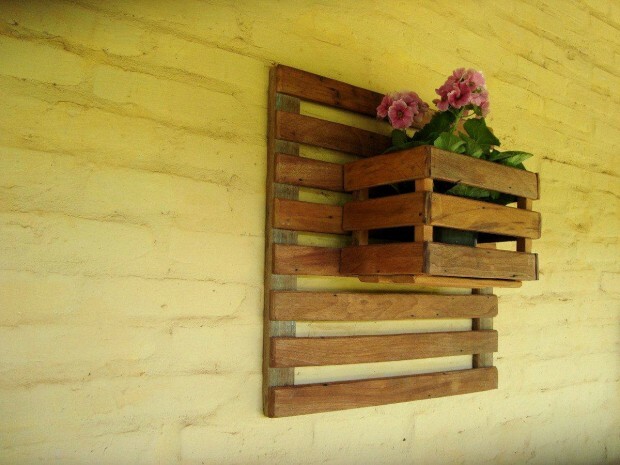 You can design and shape the pallet recycled planter the way you want it to be. 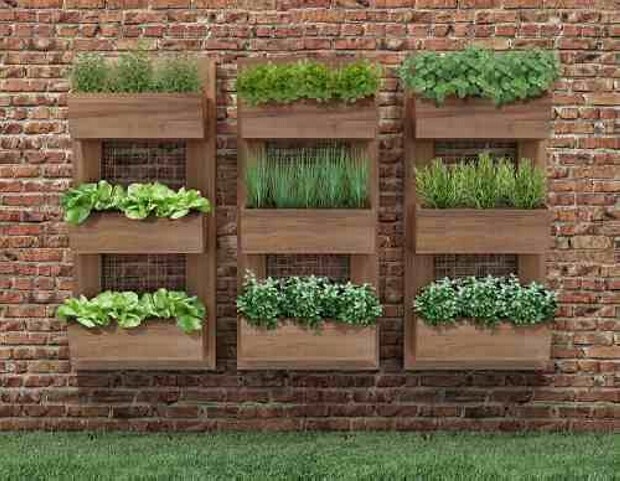 This wall planter is and example of a mini garden if you do not have ample space make a full fledge proper garden. Not only it adds to the beauty of your home interior, but also provides some healthy atmosphere too. 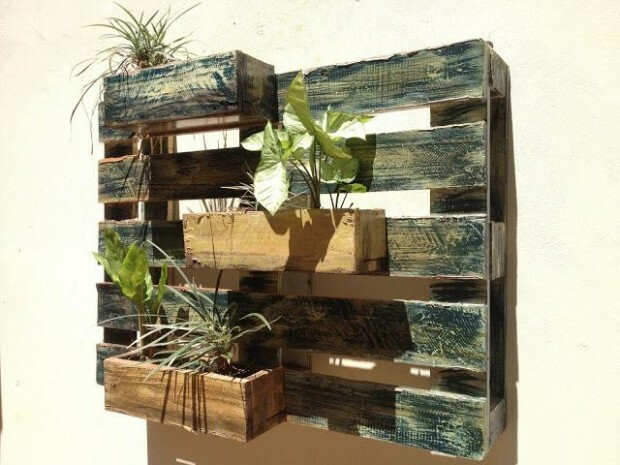 While you are planning to make a pallet wooden wall planter, the results of this project are going to be strikingly gorgeous. 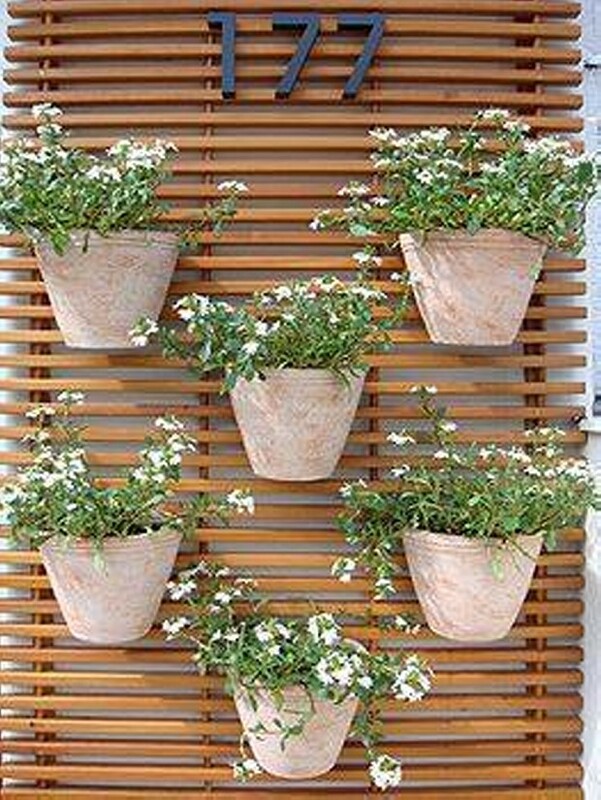 It is pretty evident that a hanging planter is an ultimate display case for patio gardening. Dramatically packed with flora, it brings a burst of green to an outdoor urban space. 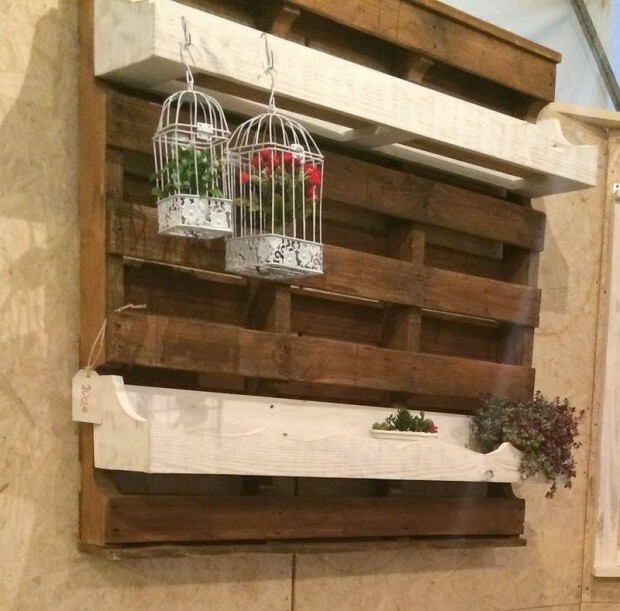 This vertical wall planter will work your wall like a show girl and the best part is that its made from a wooden pallet. Pallets are readily available. 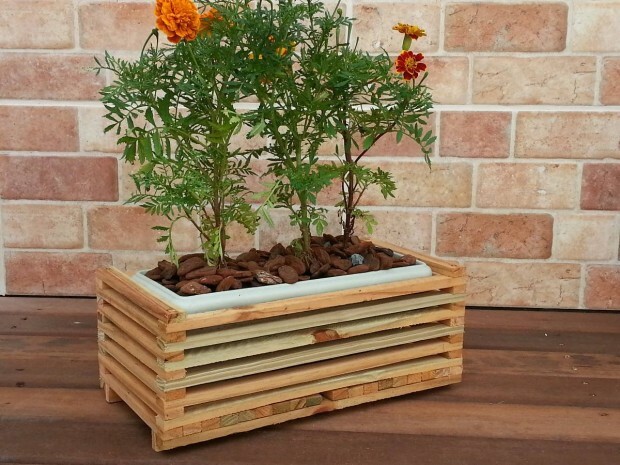 Here is a gorgeous demonstration of a classic planter that is simply made by recycling the pallet wood. Nothing additional as material is acquired in making it. Some dark brown color is really pretty eye catching and it is going to grab the attention of the visitor all at once for sure. 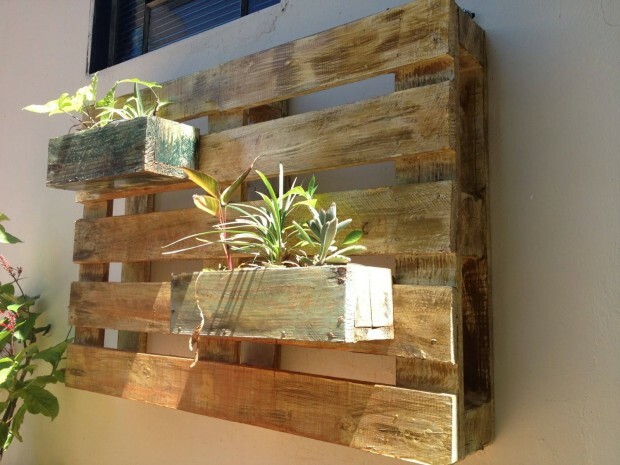 A few basics are kept in mind while making a pallet wall planter. Its texturing by sanding, and its prime paint. You can also leave it in its natural color, but the option of painting it according to your choice always lies there. As we discussed in the previous paragraph that you can leave it in its natural color. 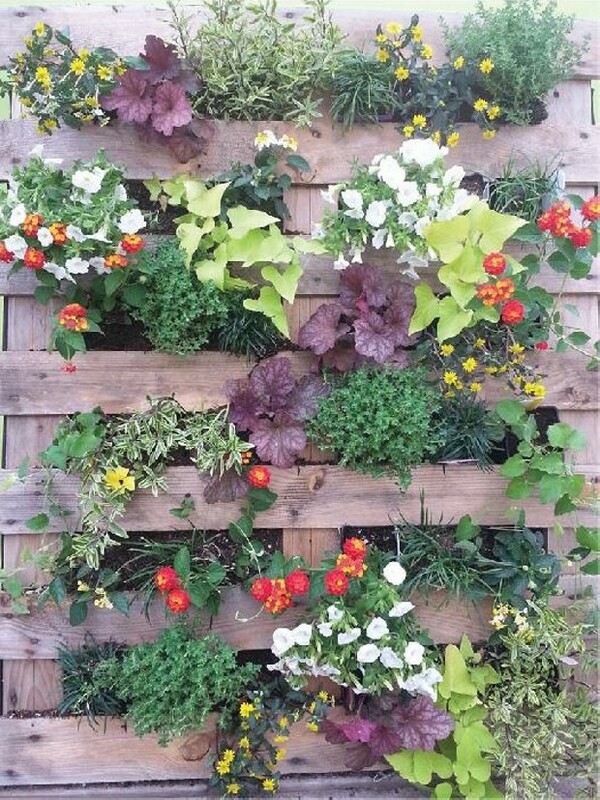 So here is an example for your inspiration of a wooden pallet planter which is not painted but left in its very natural color. It still looks stunning because its rustic dingy look is really thought provoking and attention grabber. 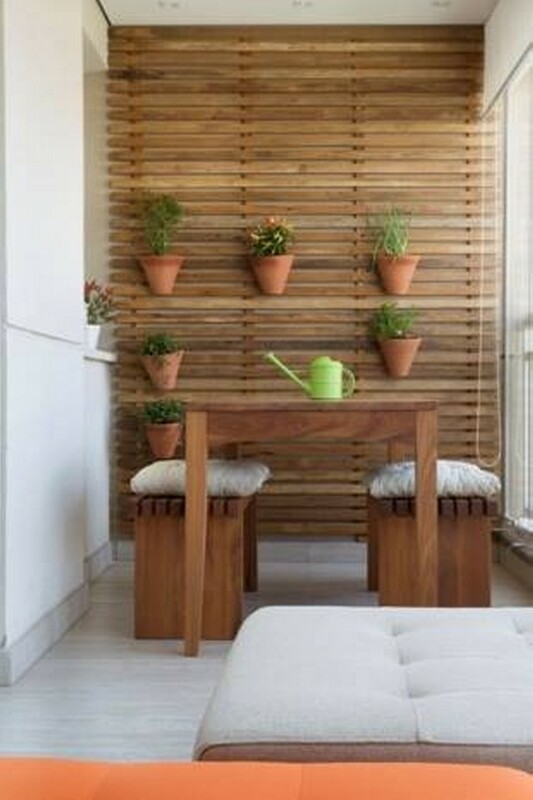 A plain wooden pallet is fixed adjacent to the wall, while an additional box shaped planter is installed along with the base. This is also a sober kind of wall art. And inspite of having no paint, it still looks pretty cool for the optics. 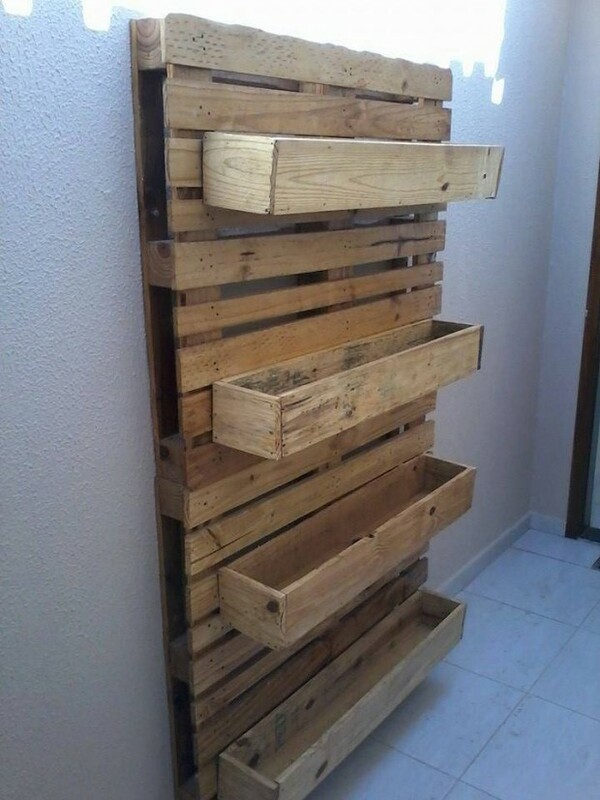 Here is another example of a rough pallet wooden planter. Once again it is not painted accordingly but left in its very basic natural color. 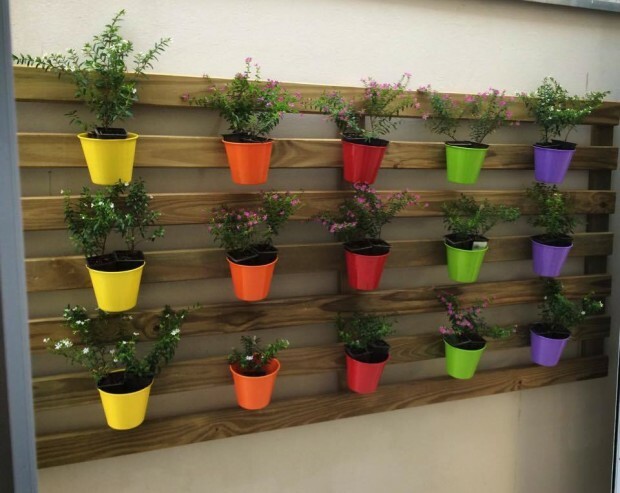 The whole body of pallet wooden planter is covered with colorful flowers having diverse sizes and colors. No specific texturing is done to leave it as rough as one could be. This is also a kind of style to give the most natural and rough look. Just some decent sanding is done to make the surface little smooth. Though not good for edible plants, but perfect for the aromatic and the colorful flowers. 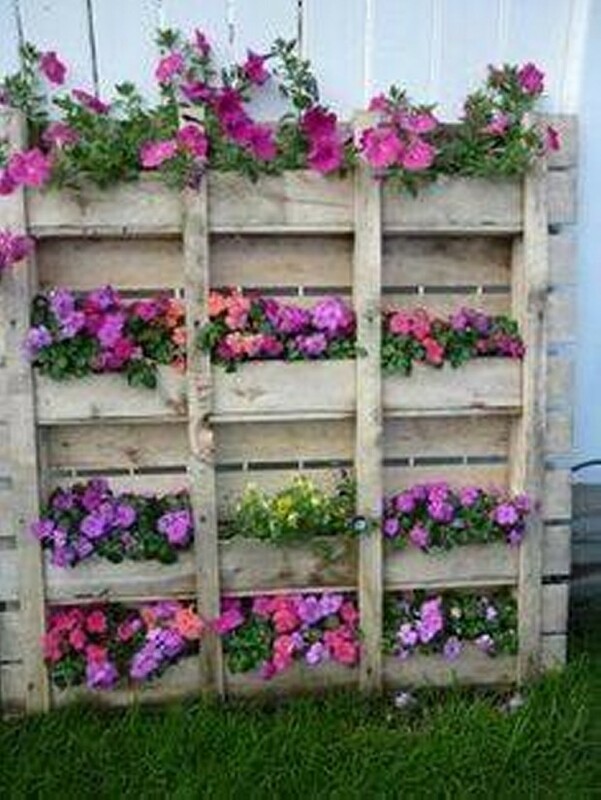 This one is probably the most decent of all the pallet repurposed planters. All the due processes of wood work are promptly followed here strictly. Pallets are painted dark brown contrasting to the plain white wall. While the planters used in it are clay pots which are pretty common and conventional ones. 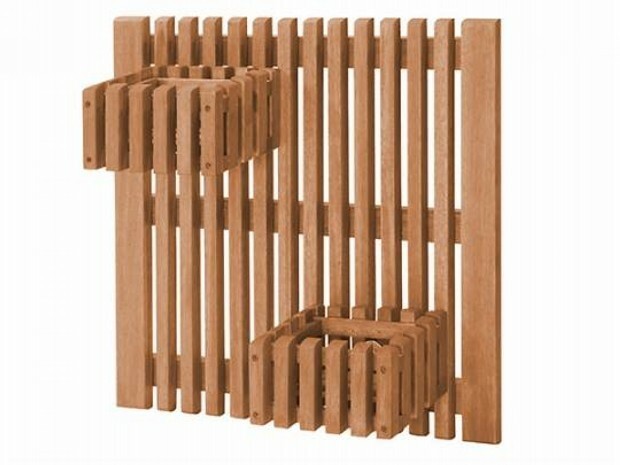 The pallets basis are placed in a specific sequence to give an orderly look. And a sequence in clay pots is also maintained in a systematic manner e.g, first one is having brown pots, while the very next is having white pots, and the same pattern is followed throughout. 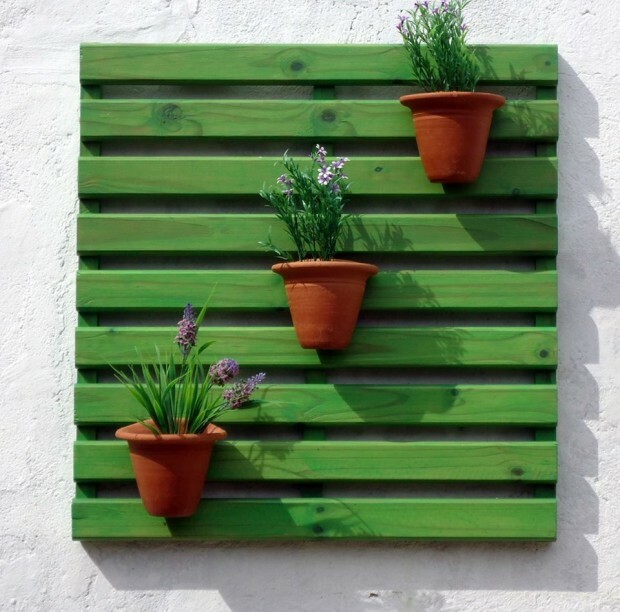 Here comes another decent pallet wooden wall planter pattern. All the due care has been taken in its designing and installation. Wall is apparently full of green leaves and plants mostly shrubs. 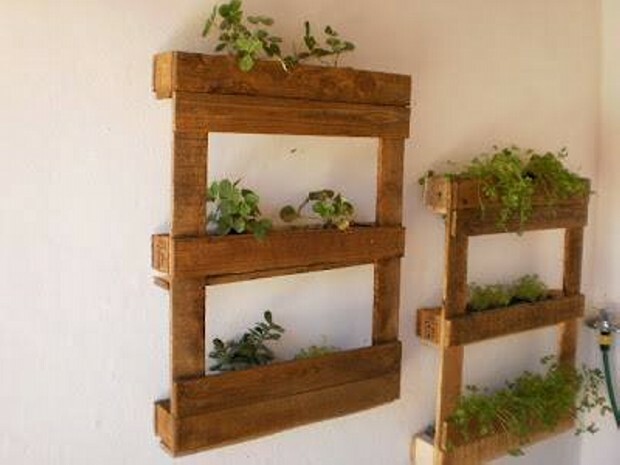 While the pallet repurposed planters are installed in a scattered manner, like some of them are fixed length wise, while the rest are fixed width wise. Then they are painted differently, one of them in pink, one in orange and rest as sea green. The color scheme is probably designed to offer diversity. Whatsoever measures are taken and efforts are made, this all is absolutely worth it. This planter is installed in the patio. Though pretty huge in size, length and width, but it still looks decent as some specific color scheme pattern is strictly followed here. The planters used here are some finest pots that are metallic based. They are painted accordingly and very well managed. Inspite of having different plants in each planter, but the sizes of plants are pretty similar to each other so over all a decent and orderly look is being reflected. This is perfect installation for your patio. Each and visitor of your house is certainly going to notice and appreciate this splendid idea. You must bear in mind that pallets are used in making various practical art crafts. Not only the planters are made with the help of pallets but many diverse furniture items are also made by recycling pallet wood. 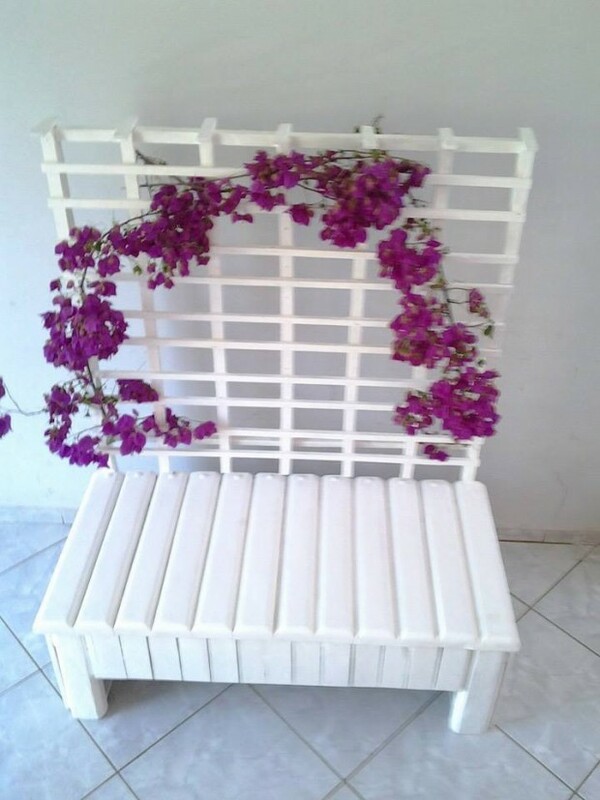 So here is a splendid demonstration of this fact where not only the wall planter is made by repurposing the wooden pallet, but the sitting arrangement items are also made by upcycling wooden pallet. Conventional clay pots are used here as planters. While the whole wall is covered with the pallet wooden planks making it look like an accent wall. Just learn some basics of recycling skills and trust me you can make the wonders happen. You can fetch all the beauty of nature by repurposing the pallet wood, and you would end up having some real practical art crafts. For instance here in this project, a giant sized wall planter is installed along with the wall. And some stylish white bird cages are used here as planters. Cages being used as planters is just a spice of adding variety. After this you can make multi tiered planters, big or small according to your space. Just learn the art of recycling or upcycling, and modify your life according to your priorities.